By nearly every metric, INSPIRE 2014 was a success. 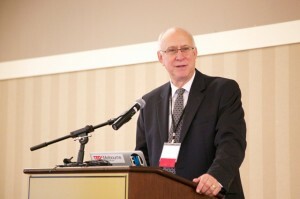 Nearly 300 passionate and committed educators – teachers, administrators, parents, and mentors – from across the country and around the world – gathered with the unifying mission to teach, learn and collaborate on ways in which we can all put our students at the center of our educational environments. I want to acknowledge our wonderful and thoughtful group of speakers for their generosity in sharing best practices in a highly diverse conference program, that explored leadership, gender issues, behavioral challenges, emotional development, business-education partnerships, technology, and student-centered education models that work. We were graced by dynamic leaders in education and child development like Will Richardson, Diana Laufenberg, Amy Carrier, Monica Martinez, and many more. Anecdotal feedback from the conference has been very positive. Despite challenging weather and travel conditions, attendees said INSPIRE 2014 exceeded their expectations, and provided NISCE with many topics we commit to explore for the next conference program. Surely one of those topics will be today’s expanding emphasis on a new wave of standardized testing. As conference leaders, we were struck by the increasing pressure being felt by educators who are looking for ways to measure their students’ growth without sacrificing the curiosity and interests of their students. These are the real issues going forward, and cut to the core of NISCE’s mission. We must always do what’s right for children. Assessment and achievement metrics have always been on NISCE’s agenda. As a result of the groundswell we heard at INSPIRE 2014, NISCE will dedicate more energy in the coming months to exploring ways in which we can use our collective voices to influence change. We will work to promote our belief that students must always be engaged and inspired to learn, and that assessments must be flexible enough to measure achievement on many different levels. We may reach out to other like-minded organizations – some grassroots, others more formal — as we develop our strategies and messages around standardized testing. 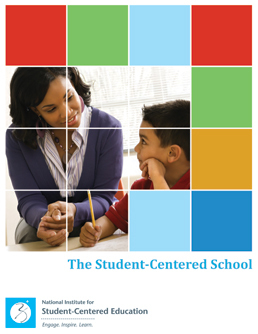 In addition, NISCE has agreed to review Monica Martinez’s planning guide for schools preparing to focus on student-centered learning. The planning guide is a companion to Martinez’s Deeper Learning: A Blueprint for Schools in the Twenty-First Century: How Great Public Schools Inspire Critical Thinking, Creativity, and Collaboration. A guest at INSPIRE 2014, Martinez has spent more than 20 years directing and researching major education innovation and reform initiatives, and is commissioner of the White House Initiative on Educational Excellence for Hispanics. These conversations and connections are the real value of hosting a conference like INSPIRE 2014 that brings together leaders and teachers who are committed to the core elements of student-centered education. Thanks to all who participated in INSPIRE 2014 conference, and to all those who support NISCE. Read our INSPIRE 2014 Quick Facts here. • See our Keynote bios here. • See our Speaker bios here.